I usually write about Amiga or Commodore related topics, for example demos and games. Today I’ll do something different and write a bit about a demo that was made for MS-DOS based computer systems. The name of the production is Second Reality and it was made by a Finnish demo group called Future Crew. It was released back in 1993 (soon 20 years old!) at the Assembly demo party in Finland. The demo invoked a positive response from the audience and won the competition it participated in. There are so many things I like about this demo.. the effects, the design and the awesome music by Purple Motion to name a few.. it’s simply great! Won the competition – awesome! I was just thinking, you know, I wish I knew you “way back when”… as my son’s Xbox once got red ring disease & we just didn’t know what to do. But I bet you would have been able to get around it. You seem really clued up on all this stuff – you & Michael! 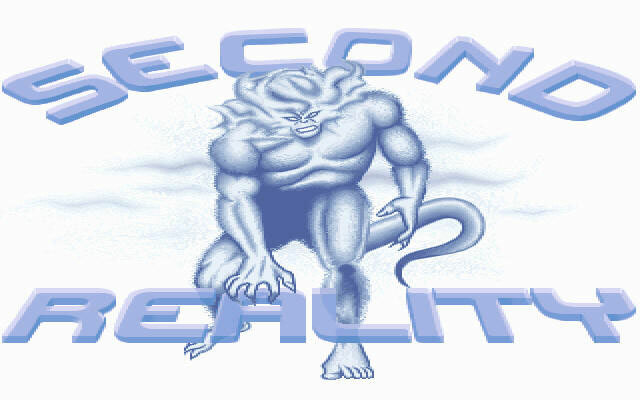 And let’s not forget the brilliant C64 version of Second Reality. Many thanks for commenting! Much appreciated! 🙂 Oh yes, the C64 version is incredible.. I’m going to do a post about it soon. It truly deserves a mention.